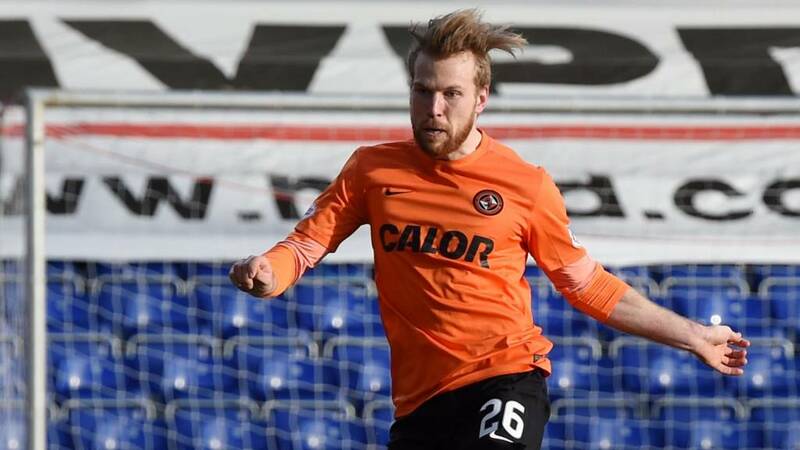 So, ten-man Dundee United come roaring back against Ross County to win a pulsating Scottish Cup tie and book their place in tomorrow's draw for the semi-finals. Earlier, Rangers showed a ruthless streak as they hammered Dundee 4-0 at Ibrox to secure their place in the last four. Motherwell boosted their hopes at Hamilton, while Hearts narrowed the gap on Aberdeen in second place to six points with a home win over Partick. Thanks for your company today. We're back tomorrow for the two other Scottish Cup quarter-final ties as Celtic host Morton and holders Inverness CT travel to Easter Road to face Hibs. Hope you can join us then, enjoy the rest of your weekend. Cheers. "We've blown a golden opportunity to get to another semi-final. Quite frankly, we didn't stop crosses. Three goals have come from three crosses and it's not good enough. "When United went down to 10 men we seemed to sit back and stand off them. It was a real sore one to take." "I'm extremely disappointed with the manner of the start. "The last thing we said to them before we went out was make sure you have a good start to the game.We were a goal down after 13 seconds and what does to the home team, it just gives them a massive lift. "We have got to be honest with ourselves and say Rangers totally deserved to win today and we didn't perform." "I don't think anyone fears anyone. If you're in the semi-final of a trophy, who are you going to fear? "Our job, whoever we face, is to do well. Don't forget, it's only seven-and-a-half months since this team came together. "All credit to them for the way they have applied themselves and they deserved today's result. But they are a young side and teams in the semi-finals won't fear anyone I'm sure. "We've won nothing yet. We're delighted to be in tomorrow's draw for the semi-finals [of the Scottish Cup] and our league position is great." I'm exhausted.But what a shift from my players. Going down to 10 men and the spirit was excellent. We're a match for any time when we play well. Today we did. We have a long way to go (relegation battle) and hopefully, by hard work, we can do it. What. A. Game. Ten-man United score what could prove a late winner to put themselves into the last four of the Scottish Cup. Blair Spittal whips in a wonderful cross and Billy Mckay is there to nod the ball home and send the United fans behind the goal bananas. Mixu Paatelainen joins his backroom staff in a wee Gangnam Style dance on the touchline. Just as Eamonn Brophy sees his penalty claim declined at one end, Motherwell have one of their own at the other. Louis Moult's spot-kick is brilliantly saved round the post by Michael McGovern.